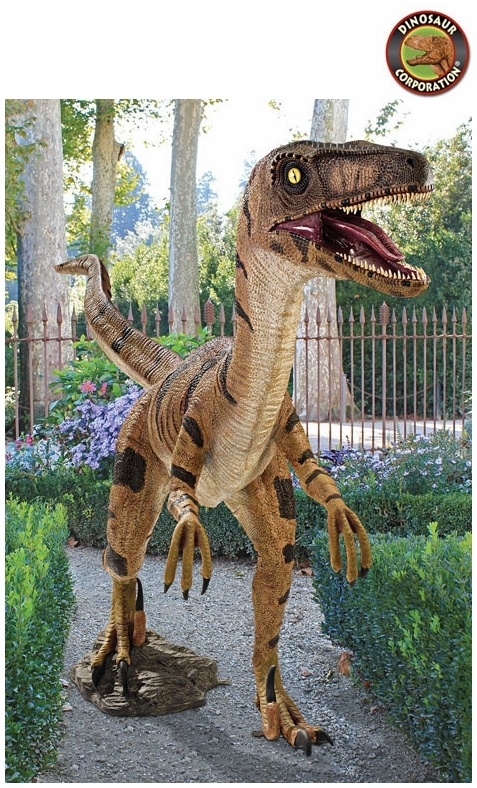 Home | STATUES | Jurassic Velociraptor Dinosaur Statue 106"
Jurassic Velociraptor Dinosaur Statue 106"
Velociraptor statue is finely detailed museum quality dinosaur replica to recreate your garden into Jurassic World. The exclusive Jurassic-sized, meat-eating prehistoric Velociraptor replica dinosaur statue is realistically sculpted with terrifying teeth, retracted foot claws and an S-shaped neck. This large-scale, Velociraptor sculpture transforms any home, garden, restaurant or hotel into something truly magnificent!